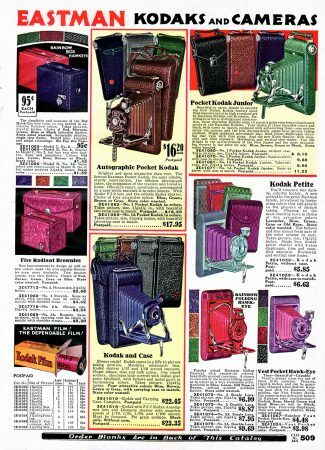 Once upon a time, and for a very long period of time, you could use the word “Kodak” as either a noun or a verb and folks knew exactly what you meant. That’s how ubiquitous the brand was in the days of analog, film-based photography. 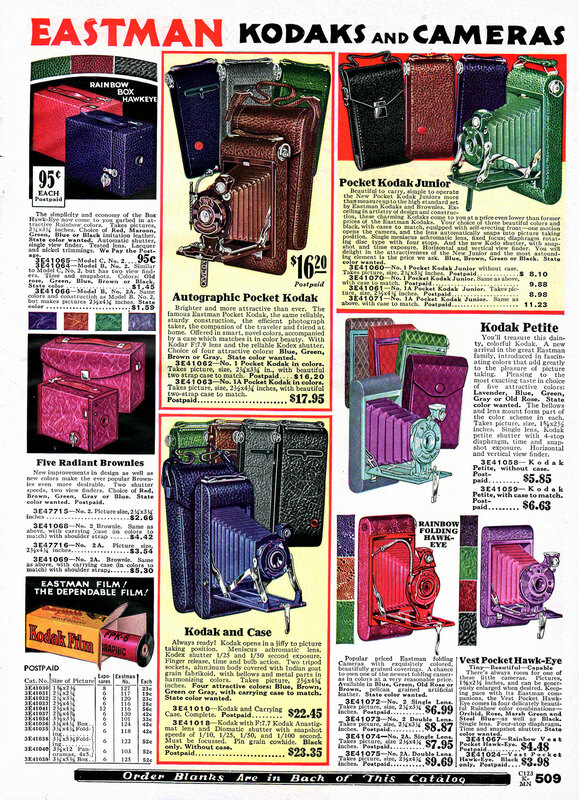 In 1931, at height of the Great Depression, this pageful of cameras is a riot of color. One suspects Kodak was trying to drum up fresh business by offering familiar cameras in flashy colors instead of the usual dark black. It’s not clear the gimmick worked – colorful Kodaks are fairly hard to find today. In any case, it’s a vibrant, color page layout. Worthy of a picture. Which we shot – digitally.